The significance of Robert Frank's photography is unquestionable. His The Americans is arguably the most important American photography publication of the postwar period, and his work has spawned numerous disciples, as well as a rich critical literature. It is less known that at the very moment he became a star--the end of the 1950s--Frank chose to abandon still photography for more than ten years in order to immerse himself in filmmaking. He did return to photography in the 1970s, but Frank the filmmaker has remained a well-kept secret for almost four decades. A compilation examining his missing years is long overdue. 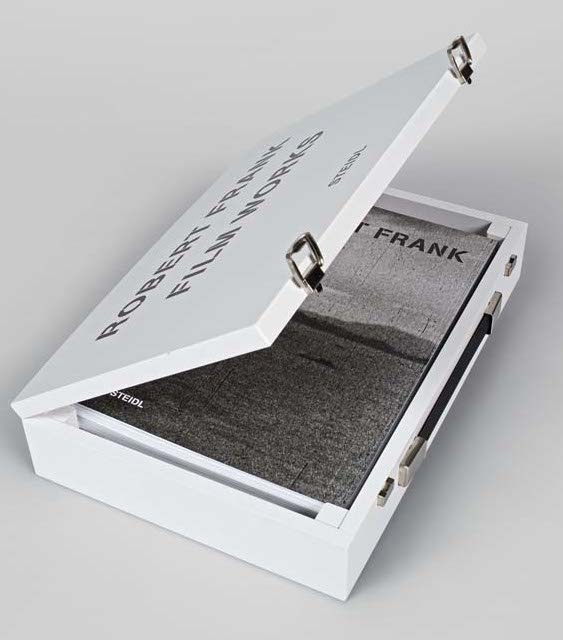 Film Works includes four DVDs in PAL and NTSC format, and comes with the book Frank Films (edited by Brigitta Burger-Utzer and Stefan Grissemann)--offering a visually unique approach to Frank's films--and the booklets Me & My Brother and Pull My Daisy, all packaged in a custom-made wooden case. This elaborate object provides a comprehensive overview of more than 25 films and videos, some of them classics of the New American Cinema of the 1950s and 1960s.